With the tragedy of September 11th, we have seen photo after photo of the burning towers and the devastation we were slowly made aware of over the ensuing weeks. 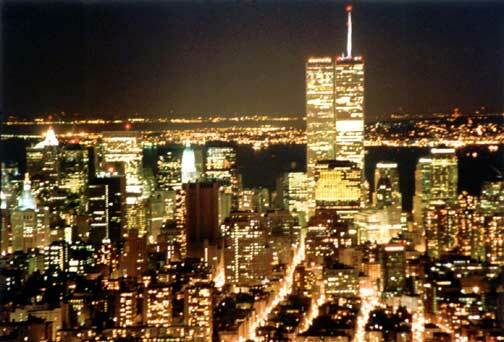 I include this photo of the Towers I shot from the Empire State Building one cold night in February of 2001. With it, I invite us all to remember the work that has yet to be completed in helping the helpless and oppressed. The WTC tragedy was a symbol of financial success and opulence. The inhuman destruction of it and the deaths of over 3,000 people was a call for America to seek out the needy and offer a helping hand.